The unit boasts the IP69 level of protection and can withstand extremely high and low temperatures (from -4 F to 176 F). So, you can safely mount this backup camera and don't worry about heavy rain or boiling sun. The camera is rather bulky. This backup camera from Yuwei features a large high-quality display which transmits clear images without any interference and wiring. In addition, the camera has as many as 10 infrared lights and a Sharp CCD sensor for night driving. No need to drill holes or draw a wire, the system installation is quick and wireless. Standby mode is active even when the camera is on. 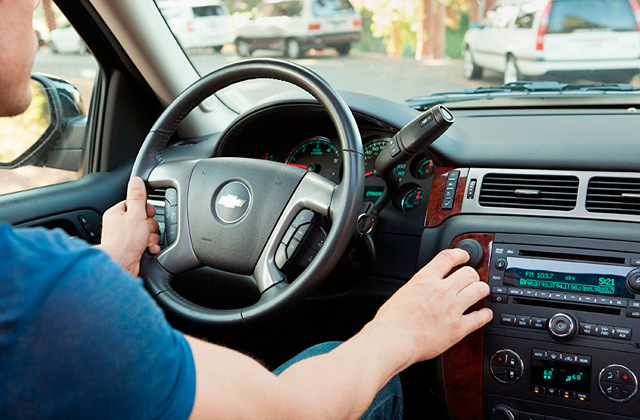 The signal loss might occur in case you use some other wireless devices in a car. 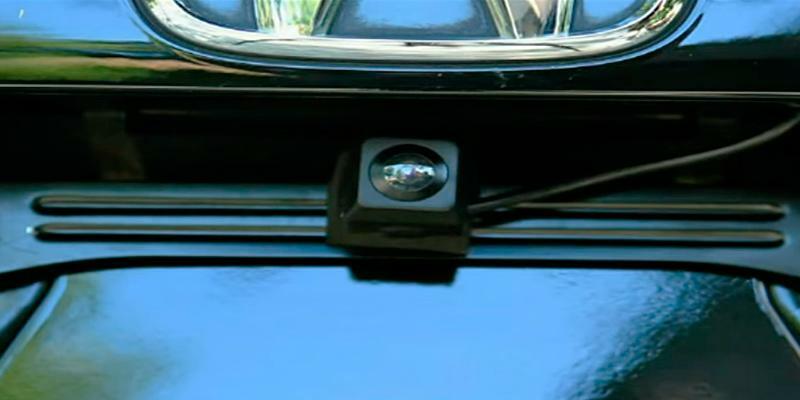 The device offers the easiest way of car back-up camera system installation. Owing to the wireless connection all you need is several minutes of your time. Perfect for SUVs, trucks, towing boats and trailers. 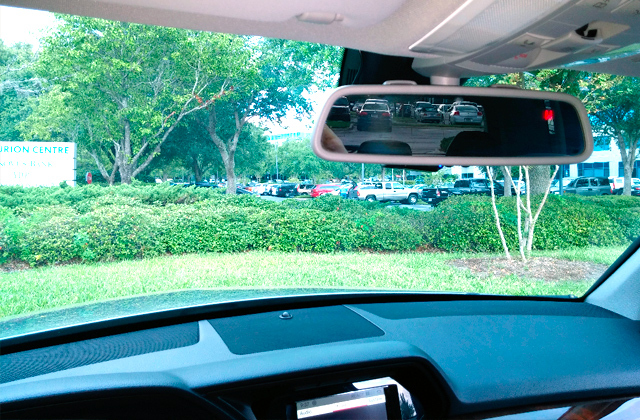 This backup camera offers the widest viewing angle for blind spots elimination. The manufacturer has provided the camera with 8 LED lights. In addition, this model ensures durability and moisture protection. The mounting bracket might not fit a standard license plate. This camera features maximum high-quality and crisp image during both daylight hours and at night. 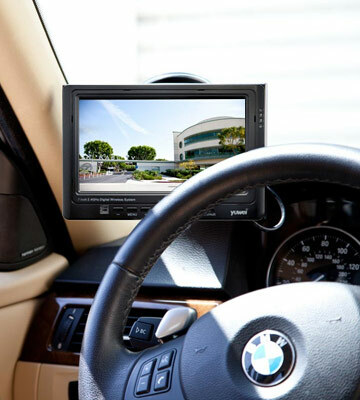 Сonnect the camera to dvd player and switch the front, rear and mirror views with the control button. The Chuanganzhuo camera boasts ultra-low power consumption, and it doesn't overheat even during continuous operation. The buttons on the back of the monitor aren't very convenient to use. An excellent value for the money! 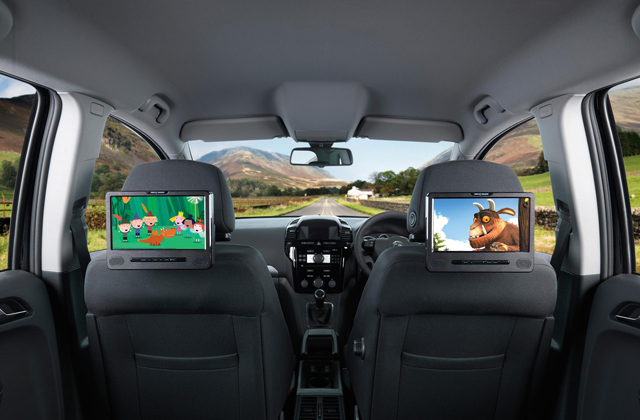 This model enables you to connect an extra camera or additional video source to the monitor and playback different video and audio files to entertain your passengers. 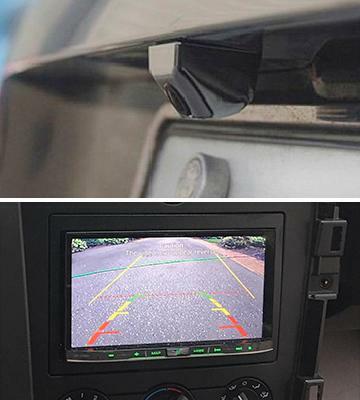 Car Rover Backup camera boasts a barrier-free transmission of a signal over a distance of up to 328 feet. An advantageous design enables an easy installation and reliable fixation of the camera. The device comes with a video cable to connect a display. The manual isn't sufficiently informative. The miniaturized and robust camera ensures recording video in decent quality and doesn't affect an aesthetic appearance of a vehicle. An excellent choice to make up your mind! If you want to get in and out of hard spots stress-free, the Yuwei IP69K camera unit is the best pick. It supports as many as 4 wireless cameras, and each of them can be viewed individually, not split. 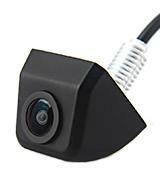 Moreover, you can buy an extra add-on camera YW-CC062TX if needed. The cameras may work continuously and always stay power state. One of them is great for reversing, while others can monitor three different places. 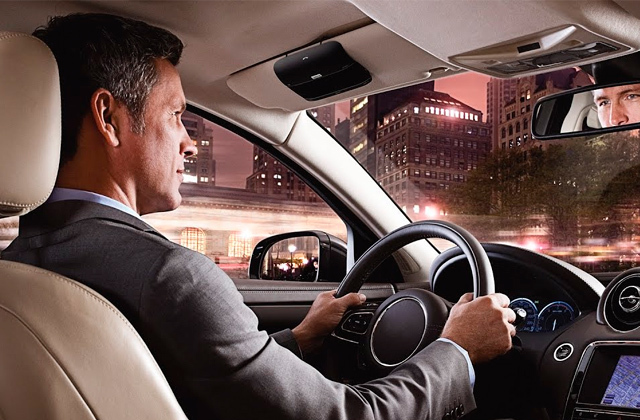 The cameras ensure clear picture and great reception from the back of your car. They offer both night vision and day vision functions. The image is shown on a large 7-inch LCD monitor. It's equipped with a detachable sunshade that is pretty handy for sunny days. And since the device is made of durable zinc alloy material, it performs equally well in high- and low-temperature environments. The Yuwei backup camera is completely waterproof and has an IP69K rating, thus, it can be used in all weather conditions. Heavy rain? Boiling sun? No problem! This wireless camera system is extremely easy to mount. The package includes everything you might need for its installation. The camera has a DIY design and can be powered by your reverse tail lights. 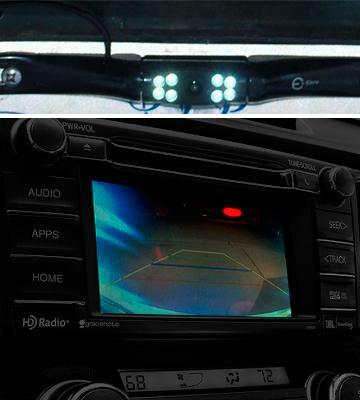 Just connect the wires to your tail light and turn the headlight switch in the first position. 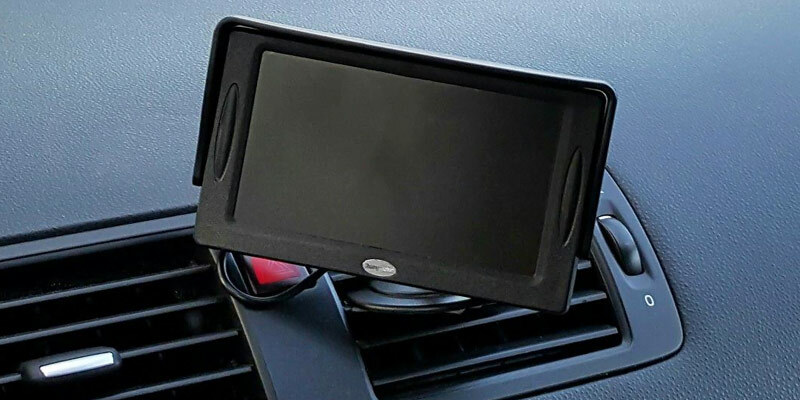 As for the monitor, it can be mounted in the front of the window glass with a suction cup or placed in the front of your dashboard with a stand bracket. 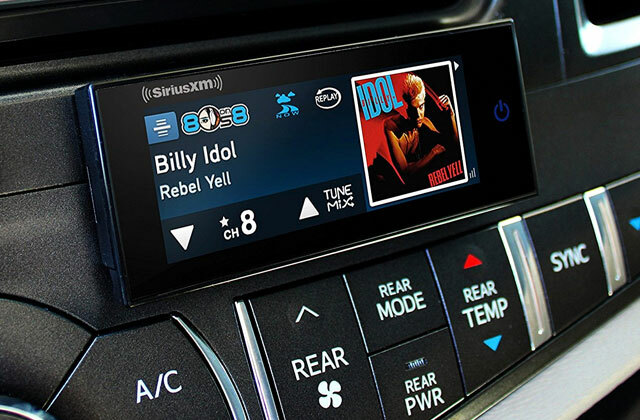 The display is powered directly from the cigarette lighter socket or ACC, so you won't have to run additional wires. The best part of it all is that all units come paired out-of-the-box. Since it's a wireless system, it will hold the signal amazingly well at high speeds. The image will be crisp and clear even when the car speed reaches 70mile/h. No additional wiring. No interference at all. Only stable signal reception and great clarity on the monitor. 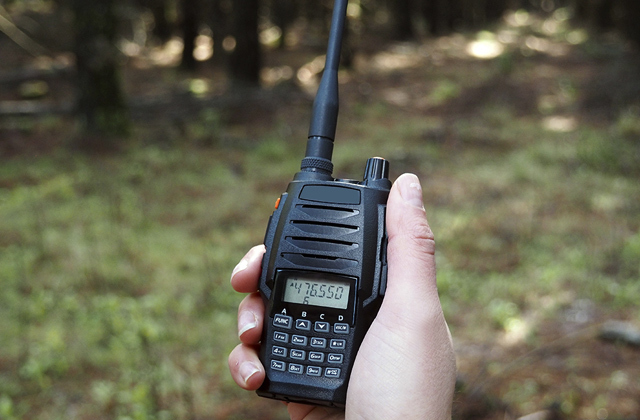 The device operates at the 2400~2483.5MHz frequency and can transmit a signal up to 200 feet (in open area). So, if you have a fairly long truck or trailer, you'll always get clear videos without interference. 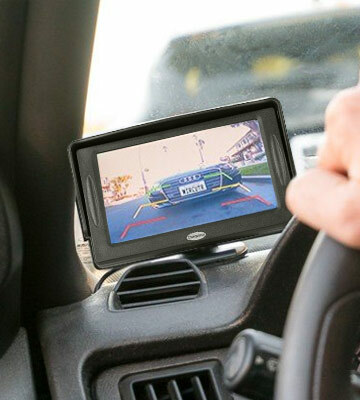 Peak PKC0BU4 back-up camera has a 4.3'' display and 110° viewing angle. It is quite enough for complete rear-view coverage without image distortion. The three-colored parking guidelines will help safely backup and warn of the approaching obstacle. In fact, the parking guidelines can be turned off if you just want to see the rear cover. 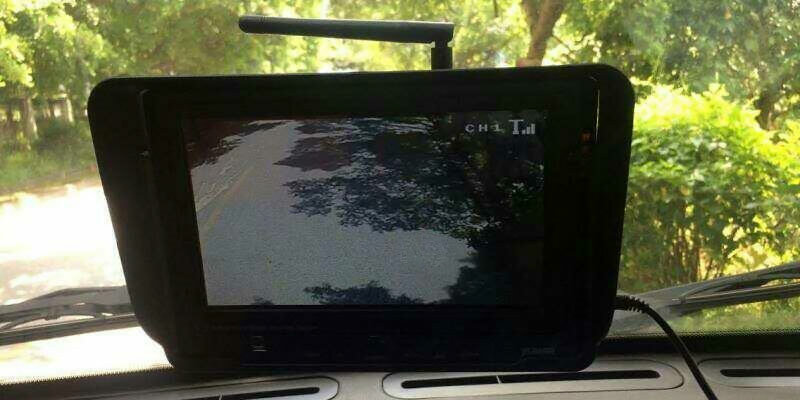 Unfortunately, the Peak PKC0BU4 backup camera doesn't offer a night vision system. Yet, those customers who've already tried this cam, say it's all right to use it at night with the rear lights on in the background. Peak PKC0BU4 camera mounts to a license plate frame, hence it doesn't require drilling holes in a car body. Owing to the wireless picture transmission there is no need in running cables to a display through a passenger compartment. Thus, the whole mounting process is performed in just minutes. We should also mention that Peak PKC0BU4 offers an adjustable vertical viewing angle, so you can choose the appropriate angle without dismounting the camera. As regards the display, it can be affixed to your windshield or dashboard. To do that, you have to fix a monitor arm with a suction cup and then slide the monitor onto the monitor arm. It is obvious that you don't have to be a tech savvy to mount the whole system. 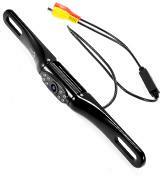 Peak PKC0BU4 back-up camera offers a wireless type of picture transmission. 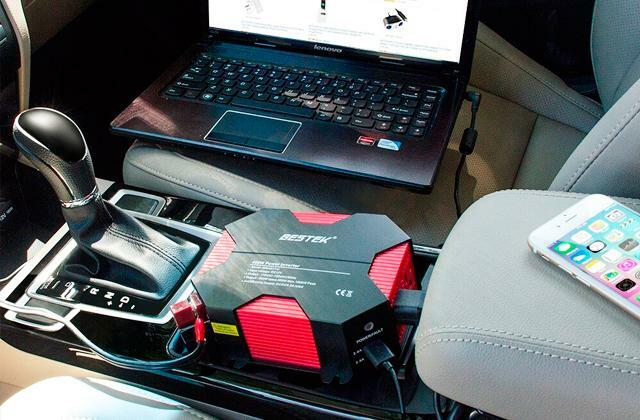 Thus, it eliminates the need to run a cable in your car. You just need to connect a 2.4 GHz wireless transmitter to the reverse lights wiring and it will pass on a picture to the monitor via radio frequencies. However, you may frequently face the problem of signal loss and image quality degradation. The primary reason of this problem lies in the simultaneous usage of other wireless devices along with the camera. Esky 180-35 rear view camera features the widest viewing angle (180 degrees) in comparison to the other cameras in our review. Thus, it ensures elimination of blind spots behind a car that you rear mirror cannot reach. In addition, a 45-degree adjustable lens allows you to choose the appropriate viewing angle in vertical direction. Therefore, Esky 180-35 is perfect for large-size vehicles and for cars with both low and high clearance. What is more important, the camera transmits a high-quality image to the monitor even in a low illuminated environment owing to the upgraded night vision capabilities with built-in 8-LED lights. 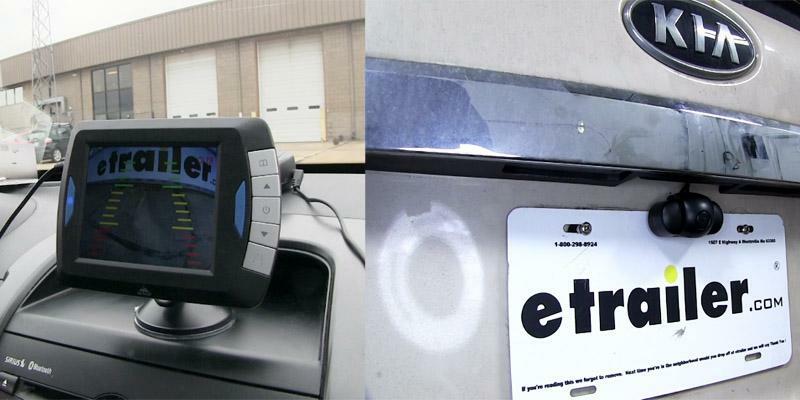 Esky 180-35 car backup camera doesn't require drilling during the mounting as it should be fixed to the existing license plate holes. Both the bracket and the fixers are made of metal so you can fearlessly tighten the bolts feeling secure about the durability during the operation. The unit's construction assumes several cameras usage, so you can fix a rear and a front camera for an additional safety on the road. The manufacturer has equipped the system with the One Button Control option that allows you to change easily the images over. Hence, you can switch views between front and rear cameras, turn off/on the parking guidelines or adjust a reverse image. 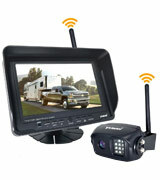 However, Esky 180-35 car backup system comes with one camera, so you have to buy an additional one for front viewing. Irrespective of how many cameras you mount, the connection to a display is provided by an RCA video cable. This feature ensures constant and fast image transmission. You should also know that Esky 180-35 doesn't come with a monitor in a box, so it is preferable if you already have an in-dash screen. This will help you to reduce the cost of the system significantly. Otherwise, you should buy a display separately. 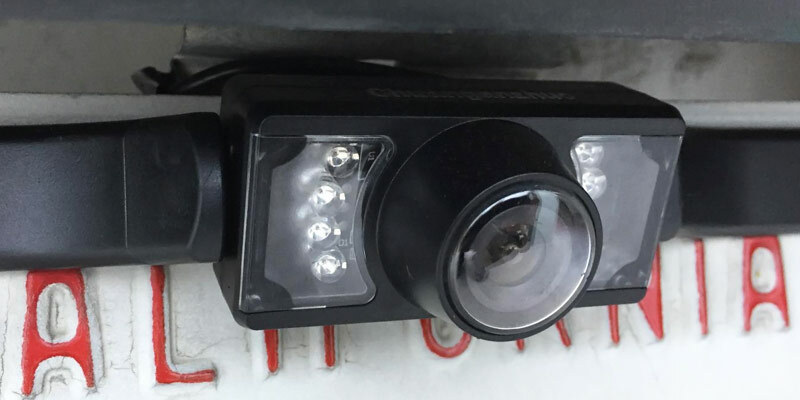 The backup camera from Chuanganzhuo is a great investment for everyone who owns a trailer, since it allows you to back up right under the hitch or see the ball and hitch clearly while you are trying to connect them. The unit comes at a very affordable price and can provide you with that extra sense of security, giving you the ability to see cars, kids' bikes, and even the smallest animals behind you. No more straining your neck! The whole system appears well-built. The waterproof camera itself can swivel up or down, enabling you to adjust it for your personal needs. It's also equipped with 7 infrared lights and an IR sensor vision for parking at night time. The camera gives a fairly good picture at night and a perfectly clear image during a daytime. This model has a 4.3-inch TFT-LCD display with 480 x 272 resolution, providing you with a crisp and detailed picture. The monitor is supplied with a shade to prevent sun reflection. This camera will really make backing up a cinch! Although the installation may seem to require some technical know-how, anyone can mount the camera by following the detailed guide. To make the process a bit easier, the camera should be attached directly to the license plate at first. 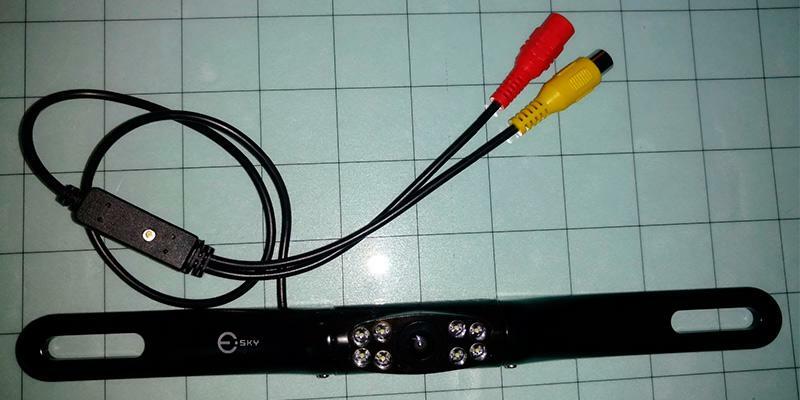 It uses standard RCA video connections and has 2 video inputs (the yellow one is the primary video input, while the white connection is an auxiliary input for any video source). 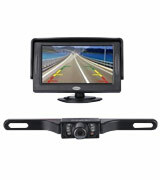 This way, you have the flexibility of feeding any video source or installing a second camera somewhere else on your car. The RCA cable is long enough to accommodate most vehicles. 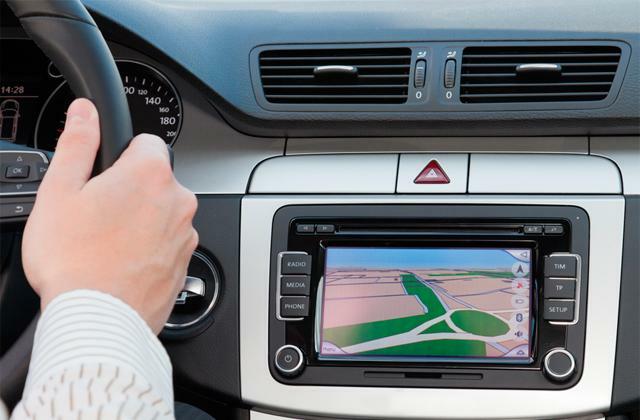 The LCD monitor can be installed conveniently on your dashboard. The unit runs on standard 12 Volts DC. The screen will start up and display the video from the rear camera once you’re backing up your car. After backing, the monitor will automatically switch back to aux input, of course, if you connect some video source into it. In case, the unit has no video signal input, it'll just display black. Despite a compact housing, the Car Rover Camera features a great built-in lens with the capability to capture image behind your car within 170° x 90° viewing angles. This makes it suitable for installation on literally any car. 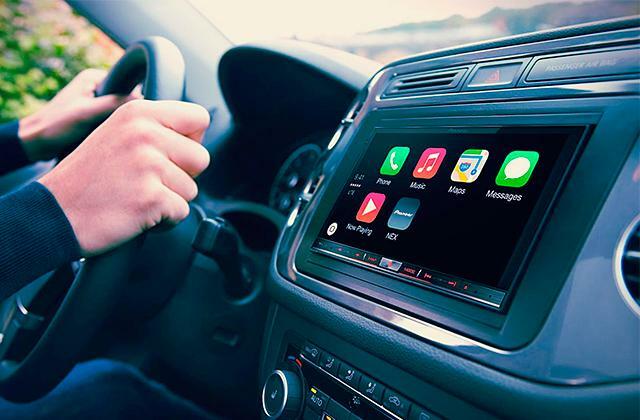 To get the rear view of your vehicle, though, you will need to either connect it with an auxiliary display or use the one integrated into your stereo system. Rather than that, all is simple and you will quickly get accustomed to using it. What we liked about the cam is that the picture it captures in the nighttime isn't a fracture worse to any of those made by more expensive devices, therefore we can safely recommend it to all drivers who're looking for a budget-friendly but reliable solution to use round-the-clock. To install the Car Rover Camera isn't a problem at all, even for an inexperienced person. All you need is to drill a hole in the tailgate handle, insert the camera and tighten a screw to ensure its proper fixation. 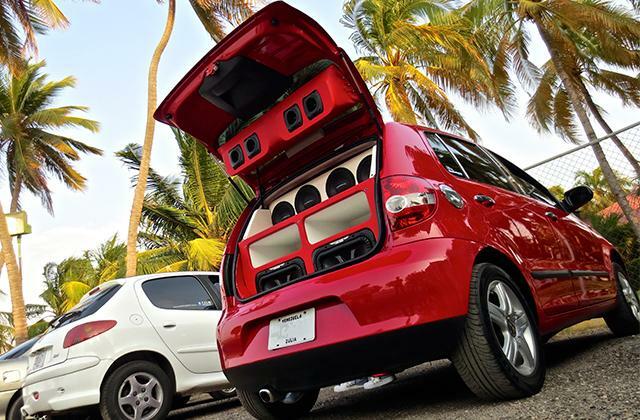 Taking into account that most tailgate handles are colored black, the rear camerа won't affect an outer appearance of your car. It's also worthwhile to add that the camera housing is designed specifically to provide drivers with the maximal viewing angle when mounted. 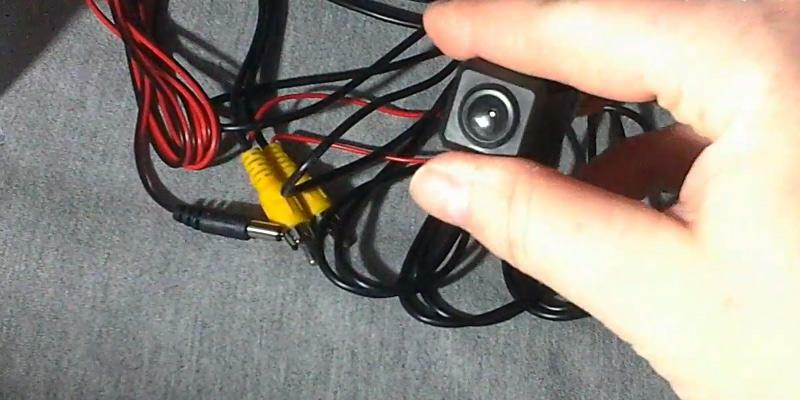 This 12V camera powered from a car battery can be connected to the wires of the closest taillight. 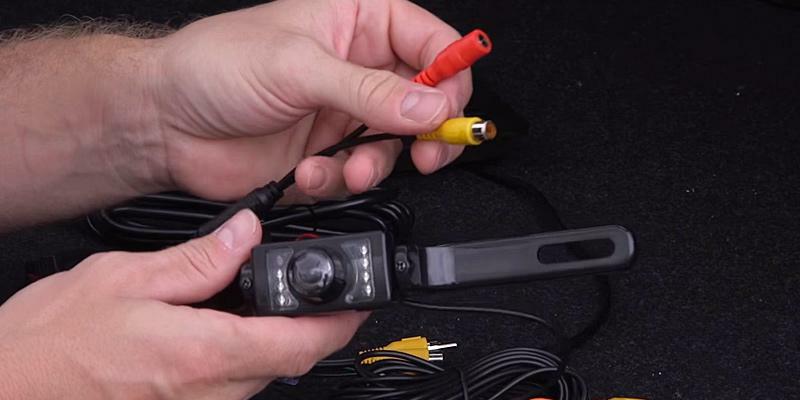 The video transmission is provided via the supplied RCA cable that can be neatly hidden under a car trim in order not to spoil the look of your vehicle. Once you connect a display, you'll be able to clearly see all parking lines on it. A barrier-free signal transmission over a distance of 328 feet without quality loss and picture distortion is one more essential feature that makes this camera a decent product. Awesome! 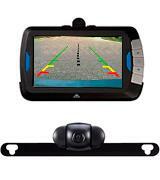 Car backup camera will be of service when you need to park in a narrow street, garage or in a store parking lot. Thus, the main task of this device lies in safety improvement of both pedestrians and your car while parking or backing up. The parking system consists of 2 main components: a camera and a display. A camera mounts on the rear of your vehicle and transmits a signal to a display located in a car. You should also know that a camera is powered by the rear lights and hence, a video is transmitted only when a car is backing up. If you're looking for a device that is able to record video, you should definitely read our review on car cameras. Besides, if you want to know a charge level of a battery, take advantage of a car battery tester! So, you've decided to purchase a backup camera and sure that whichsoever device would suit you best. Then you should know that there's more to this than meets the eye. The first thing you should definitely look into is the Picture quality and features of the chosen system. First of all, a camera should transmit a sharp and clear picture both during daylight hours and at night. Whereas a picture quality depends on image sensor technology a camera is equipped with. There are two types of sensors available on the market: CMOS and CCD. CCD technology is the one that is used in digital cameras and provides the best picture quality, high resolution and better vision in obscured conditions. On the other hand, CMOS technology has lower resolution and poorer image quality in low illumination. Thus, the quality of a picture is not the most important criteria as a display in your car is not as big to require a high-definition image. So both CCD and CMOS sensors would provide an acceptable picture quality. Secondly, you should opt for a camera with a wide viewing angle so that it is able to cover an entire blind area of your back bumper. But you should know that an optimal viewing angle in car backup camera is just about 120-170 degrees. Because in chase of wider viewing angle you may get a fish-eye effect. In addition, it is preferable if a car backup camera features the parking guidelines (lines or a grid overlaid on a picture). 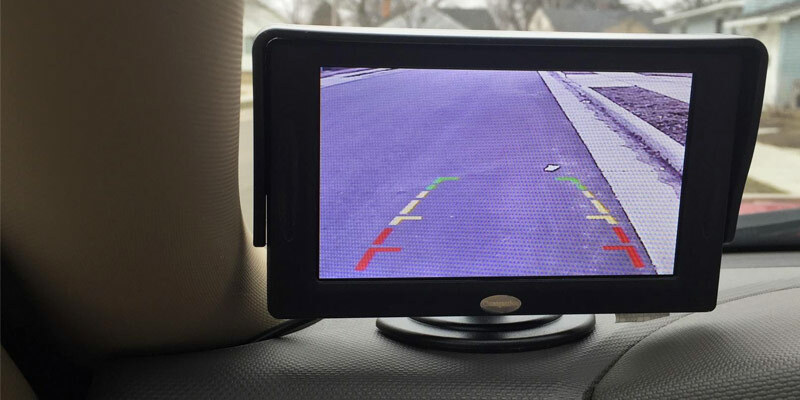 This feature will assist with backing up in tight spaces and help you to understand how far away you are from something that is behind your car. Also, pay attention to a camera's Mounting type and construction as it directly impacts on outside appearance of a car. Generally, a camera mounts onto a bumper thus, there are lots of different ways to install it depending on its construction. There are flush mount cameras or key-hole cameras that are mounted directly into your car key lock hole. Other cameras come in a "bullet style" and require drilling a hole into your car. But the most popular type is license plate mount cameras as they are the easiest to install. Wired system. A picture is transmitted by a video cable. It is quite complicated to install a wired system as you should run a cable through a passenger compartment to a monitor. However, this system is secured from radio interference. Wireless system. 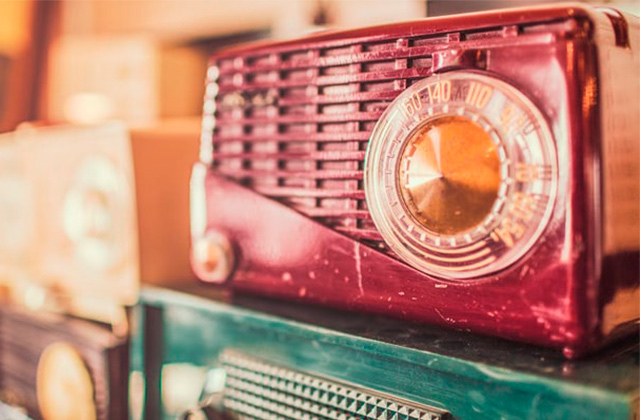 A picture is transmitted via radio frequencies. It is really easy to install a system, just mount a camera and a monitor and it is ready to operate. 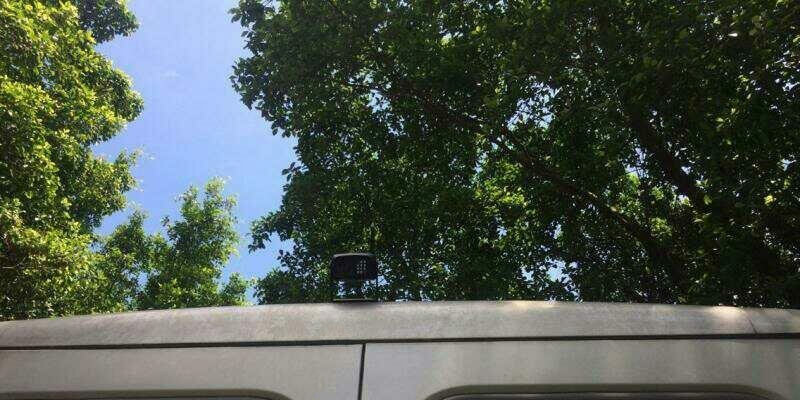 Thus, the transmission distance is only about 15 m. In addition, a radio signal may be interrupted by electromagnetic disturbance, so you'd receive an inconsistent signal or no signal at all. 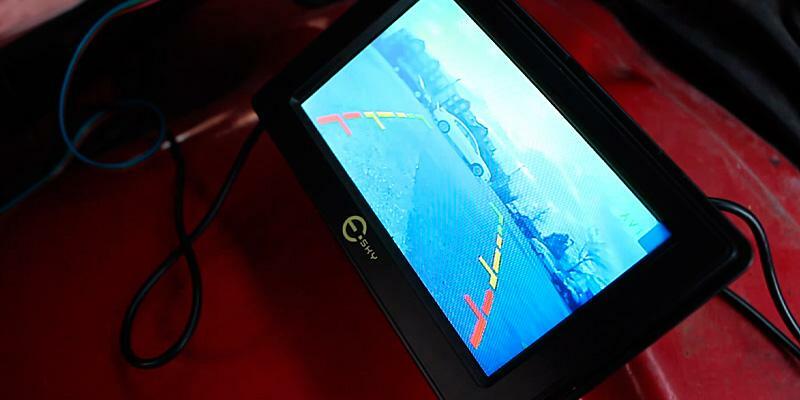 After purchasing a car backup camera, you should also check if it works properly. And what is more important, before drilling a hole for camera installation make sure that a mounting bracket fits well. Q: Can I use a backup camera at night? A: Yes. Most modern backup cameras come with infra-red lighting and provide a decent night vision. Q: Will I be able to install a rear camera on my own? 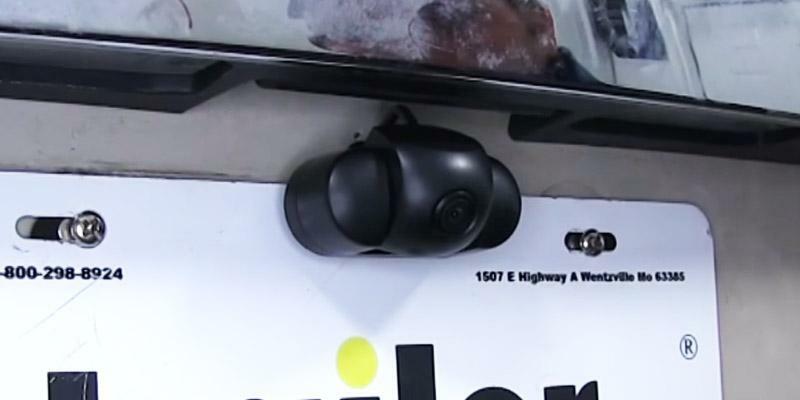 A: As practice shows, many people install car rear cameras without external help. Otherwise, you can find a specialist in your area for professional installation of a camera. Pay attention that cameras require electrical power connection (12-24V), therefore, the use of a millimeter is recommended. Q: Can backup camera systems work while I'm driving? A: Yes, they can. You can adjust the operation of a camera as you need. Q: How long does it take to install a backup camera? A: It generally depends on a vehicle, automotive wiring knowledge, electronics equipment, and tools. Pay attention that it can be necessary to drill a special mount hole in a trunk or a hatch. Q: What types of rear camera exist? A: There are two main types of backup cameras used for rear view camera systems. These are standard mount and keyhole cameras. Each of these types has its own benefits and drawbacks, and each of them is designed for specific use. Q: How to route cables and wiring and mount a rear camera? 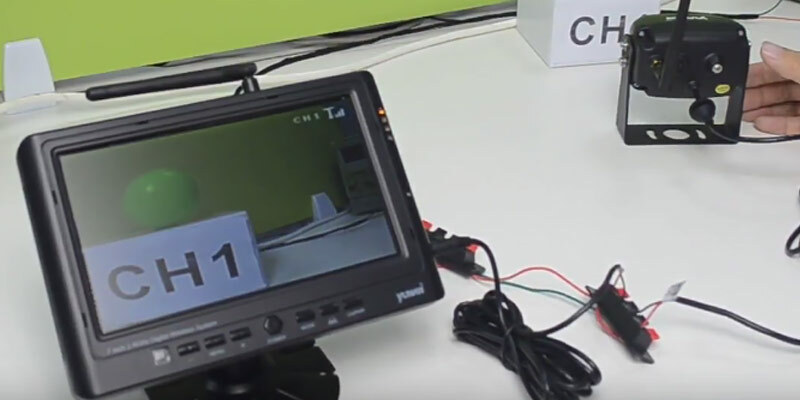 A: A cable from a camera connects to a power supply box and goes to the rear of a vehicle. This cable is usually routed with other power cables used for powering tail lights. At the hatch, power cords pass through a special rubber tube and connect to a backup camera inside. A camera itself can be installed in a license plate frame. It is necessary to drill a hole and run a wire in and through a trunk or a hatch. Q: Does a screen size matters? A: Yes, it definitely does. 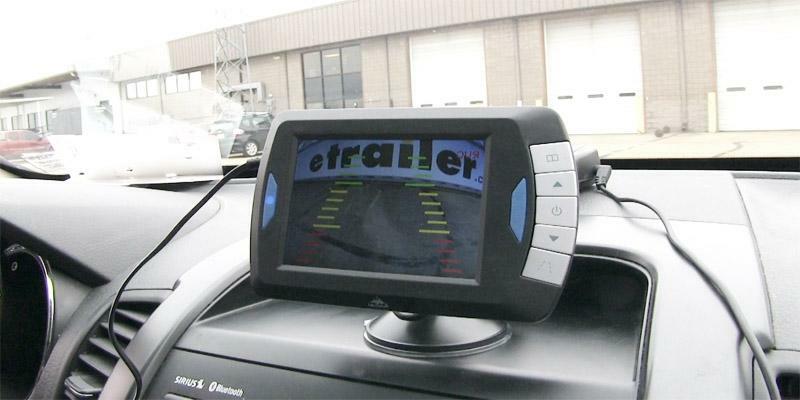 Size is an essential aspect when you are deciding on the right car backup camera system. Many drivers, for example, want their rear camera to include a large display showing a clear image from behind the car. Meanwhile, many backup camera systems can’t boast such a feature and come with a tiny display. Therefore, we recommend you to decide in advance what type of a display you actually want to have. 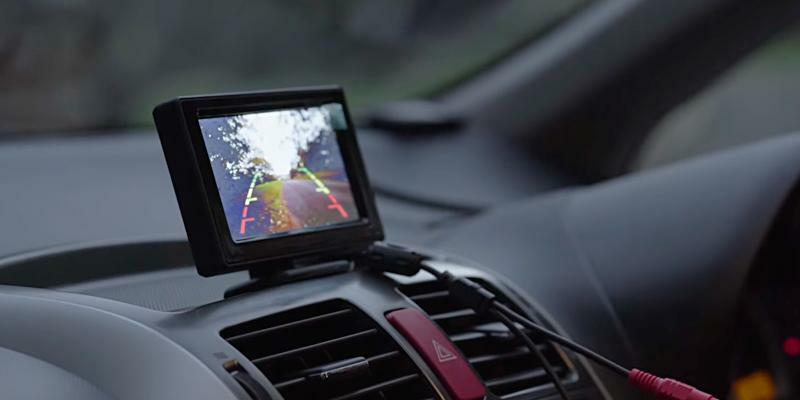 Q: Does a backup camera need to be weather-proof? A: Yes, it does. 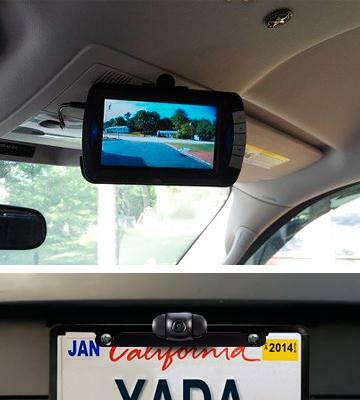 This is actually a must for a car backup camera. Vehicle rearview cameras should have at least IP66 rating and desirably IP67 rating. Now, most models are made to be weather- and water-proof. Likewise, there are rear view backup cameras that need to be installed inside a vehicle. Such cameras can’t be mounted outside your car, and they are not weather-proof. Q: Is a wireless rear camera susceptible to interferences? 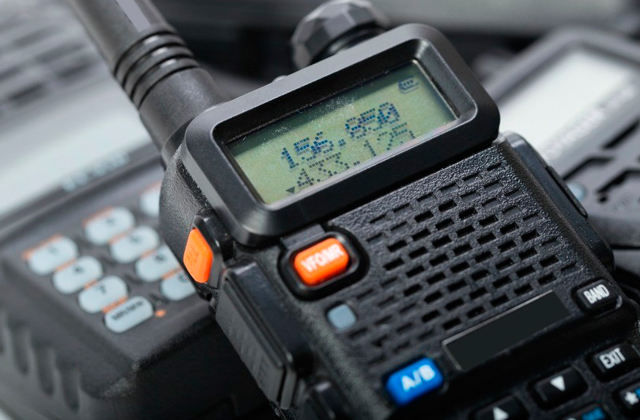 A: Since a wireless rear camera transmits video through the air, there can be some interference from a variety of different sources such as high power radio and television transmitters, and many others. 1. 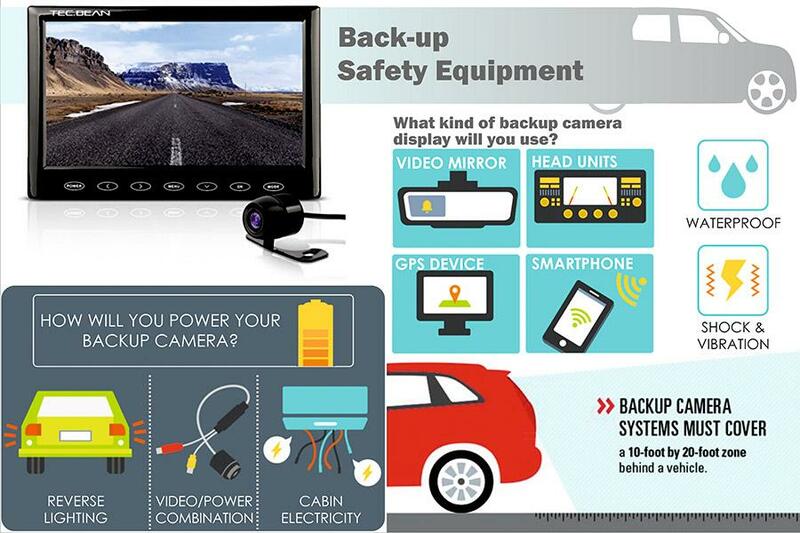 Car and Truck Backup Cameras Systems, Consumer Reports. January 2014.